Meet Joey. This energetic, fun-loving five year old has a smile that can melt your heart and a swagger that tells you he’s going places. He is dynamic and unforgettable. Joey’s parents, Tom and Jennifer Towell, call him their super hero. You’d never guess that Joey, who has Down syndrome, has faced a multitude of challenges in his mere five years because each time he faces adversity, he and his wide network of supports come out stronger and more determined – like super heroes, you could say. The Towells will tell you that one of the resources they found helpful was Summit DD’s Early Intervention (EI) program. Through the EI program, Joey and his parents got the support they needed to help them through Joey’s surgeries, the tools they needed to help Joey make progress toward his milestones, and the connections to other community resources for Joey’s development. Joey continued to move forward with hard work and the support of his family and Developmental Specialist. His progress led the family to their next stop along his journey, preschool. The Towells have the same standards and expectations for all of their children, which is why when it was time for Joey to go to preschool they thought it would be a simple search. They wanted Joey and his older brother, Tommy, to preschool together and were dismayed when they talked to several preschools who told them they would not be able to support Joey’s needs. After numerous local preschools saying no, the Towells turned to Summit DD’s Community Partnership for Inclusion, or CPI, program. Summit DD’s CPI program helped the family find a preschool that was a good fit for both boys. Additionally, Summit DD Inclusion Support Specialists offered support to the preschool through education and on-site learning methods. They provided training for the preschool’s teachers and helped make the room accessible for Joey and his classmates. 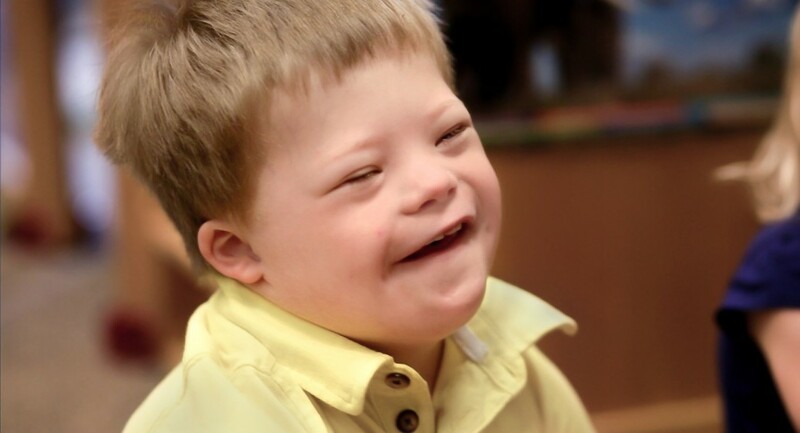 The family has been thrilled with Joey’s progress since joining his inclusive preschool and an inclusive summer camp at another day care provider. Since being part of their inclusive, community preschools, the Towells have seen Joey’s language skills take off. They’ve watched him transition from gait trainers to walking and now running. They couldn’t be happier with the progress that they are seeing. The Towell family is looking forward to what the future holds. As their little super hero reaches each new milestone in his life, his parents will continue to be there to love him, support him and make sure that he is connected to resources like Summit DD that will help him succeed. Want more? Check out Jacob’s story, a kind-hearted, go-getter who changes everyone he meets. Get more information on Summit DD’s Services for Children.